We have curated our program for our Nov. 2019 tour. Composers will be contacted shortly re: music purchasing and/or other permissions and details. Thank you for your submissions and for your interest in my recital series, Crossing Borders. We are still interested in looking at tenor/soprano duets (see instrumentation and call details below). Please send works to the email below. Hemos definido el programa para nuestra gira en noviembre de 2019. Vamos a contactar los compositores en breve para comprar la música y / u otros permisos y detalles. Gracias a todos por enviar sus obras y por su interés en mi serie de recitales, Crossing Borders. Todavía estamos interesados ​​en ver dúos de tenor / soprano (ver la instrumentación y los detalles de esta convocatoria abajo). Por favor envíe las obras al correo electrónico a continuación. There is no age, gender, or nationality restriction on this call. Shorter works are preferred. The genre of music is open to classical art song, crossover pop, musical theatre, cabaret, and opera. Recordings welcomed, but not necessary. Scores selected for performance will be purchased (submitted scores via email are for perusal only). Performers on this program are Maureen Batt, soprano; Fabián Arciniegas, tenor; Claire Harris, piano. No hay límite de edad, género, o nacionalidad para esta convocatoria. Se prefieren obras cortas. El género musical puede ser canción de arte, pop crossover, teatro musical, cabaret y ópera. Las grabaciones no son indispensables. Las obras elegidas para el concierto serán compradas (las obras enviadas vía email son para examinar solamente). Los intérpretes para este programa: Maureen Batt, soprano; Fabián Arciniegas, tenor; Claire Harris, piano. Es posible que no podamos responder a cada uno de los envíos inmediatamente pero si su obra es elegida como parte del programa le contactaremos en algún momento después de la fecha límite. Crossing Borders is a concert series founded by Batt in 2014 that features contemporary music by living Canadian composers and musical artists from around the world. With themes of themes of compassion, contemplation, beauty, loneliness, darkness, healing, and warmth, the pieces presented in this series mirror both modern societal views and ancient cultural contexts through the lenses of humour, hope, and nostalgia. Three programs have toured to Halifax, Toronto, and Philadelphia and featured Cheryl Duvall on piano: Crossing Borders: A Celebration of New Music from New Mexico to Nova Scotia (January and March 2015) Crossing Borders: Realities Blurred (March and August 2016) Crossing Borders: Mission Compassion (January and Feb 2018). Art song is a featured genre on this recital series, but programs also often include opera, musical theatre, and electronics. So far, Crossing Borders has given 7 world premières and has given composers and works countless Canadian/American premières. Among those world premières are works by Bob Bauer, Leila Lustig, Saman Shahi, Anthony T. Marasco, Anna Höstman, and Rodney Sharman. 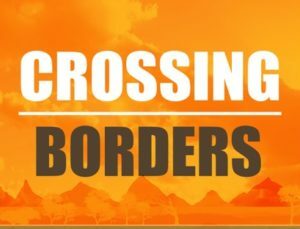 The next Crossing Borders tour will feature works by Canadian and Latin American composers and will include works for soprano and tenor. This tour will take place later in 2019 with planned performances in Canada and Colombia. More art song commissions are planned for this upcoming season as well as next. One of the cycles that Crossing Borders commissioned and premièred last year, Breathing in the Shadows (Saman Shahi) will be recorded as part of a commercial recording – to be released in 2020 on Leaf Music.